Music has traditionally been a way to express and honor faith, whatever your faith may be. Bainbridge Island is host to a variety of faith groups; have you ever wondered what kinds of music each uses in their worship? 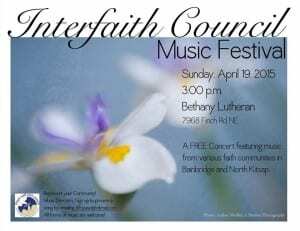 Come to the Interfaith Music Festival Sunday, April 19, to find out! At least ten different groups will come together at the festival, expressing their faiths in voice, harmony, dance, and musical interpretation. In this podcast, Tiffny Weighall, Music Festival Event Coordinator for the Bainbridge Island Interfaith Council, talks with BCB host Sandy Schubach about this exciting upcoming event and special guest appearances. Tiffny also explains how the event first started, the directors involved, and what kind of music and performance you can expect at this concert. 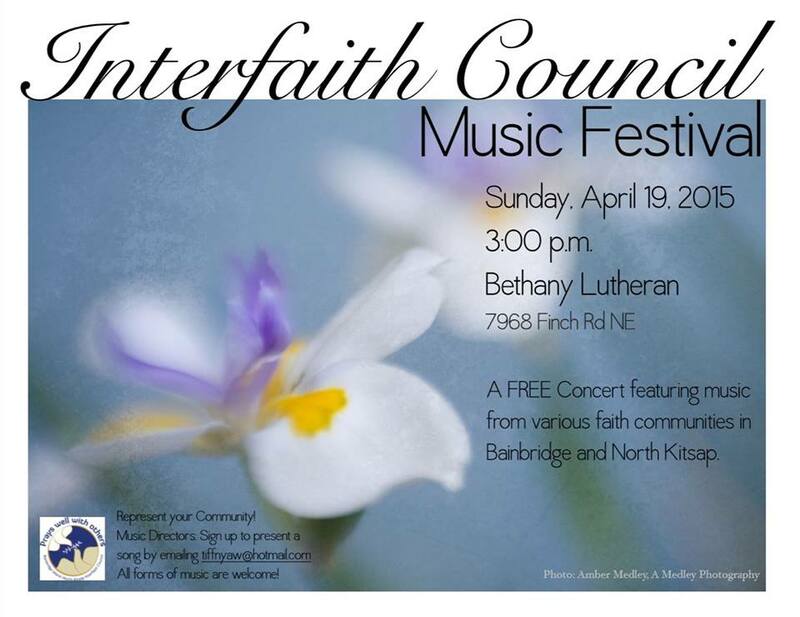 The Interfaith Music Festival will be held, free of charge, on Sunday, May 19th, at 3pm in the Bethany Lutheran Church. Come listen to the sounds of faith! Credits: BCB Host, audio tech, and audio editor Sandy Schubach; BCB publishers Diane and Chris Walker.